Survivor David Colbath thanked those who have helped him recover from the tragedy in an emotional Facebook post. He said Pastor Frank and Sherri Pomeroy have been his rock. 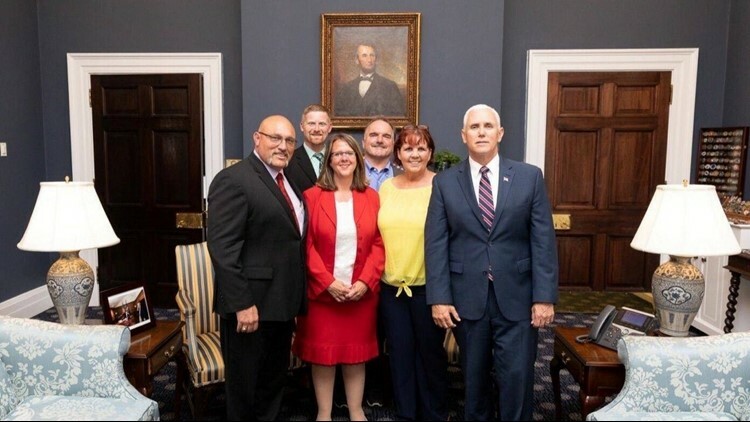 WASHINGTON - Sutherland Springs mass shooting survivor David Colbath shared an update on his experience visiting the White House for the National Day of Prayer. As KENS 5 reported, Frank and Sherri Pomeroy, the pastor at First Baptist Church of Sutherland Springs and his wife, led a prayer after receiving an invitation from President Donald Trump. Colbath and his son Morgan also attended. In a Facebook post, Colbath said he wanted to thank friends and family who have stood by his side throughout the tragedy and recovery process. "Thank you all who have prayed for me. The love still overwhelms me today. My healing at this point is slow. The hurts hurt, but my faith grows still," he said in the post. Colbath also asked supporters to continue to pray for his family, church and community.